At the mention of doing video, do you feel a block go up? “I could never do that!” If that’s you, this episode is especially for you. Kelly Zitlow of Cornerstone Home Mortgage felt the same way. But she saw the writing on the wall and sensed that adding video to her marketing regimen could propel her business forward. She pushed through the painful, awkward beginner phase, and now she’s on the other side…in a big way. Today you can even find her on The American Dream TV show. Today we sit down with Kelly and her marketing director, Chey, to get their best tips and insights in incorporating video into your marketing plan. How and why Kelly and her team are expanding their video shoots to include community events. Geoff: Hey listeners, Jeff Zimpher, your host. Welcome to this episode of Mortgage Marketing Radio. So glad you’re here. Okay, so listen, let’s get right into it. I’ve got a couple quick announcements before I transitioned into this week’s special guest. So, first of all, I wanted to announce to everybody that I am now a proud member of the Industry Syndicate. What does the Industry Syndicate do, you ask? It is a growing media network of forward thinking, modern professionals and content creators, a single source, a single destination for all things audio related, content related, when it comes to you in the mortgage industry listening to this. We thank you for being here as a listener and follower of Mortgage Marketing Radio. There’s probably other sources of information or content providers that you are either seeking or already listening to. What the Industry Syndicate aims to do is bring all of these forward thinking content creators under one umbrella. Thus we have the Industry Syndicate. You can learn more over at www.IndustrySyndicate.com. You can go to Facebook and search Industry Syndicate. Of course, all the other usual socials — Instagram, LinkedIn, and so forth. I’ve had a couple of guests from the Industry Syndicate already on the show and more to come. So look for more coming your way as far as the Industry Syndicate goes, but for the meanwhile, check them out doing good things. And it’s all about all about helping you guys become the best version of you that you can be, becoming a modern mortgage originator. All right, so there’s that announcement. Jacket out of the way. Next announcement is if you’re listening to this for the first time or the 105th time, which is this episode, if you haven’t yet joined our Facebook group for the Mortgage Marketing Radio Podcast community, please do so now. That’s right. Do not pass Go. Do not collect $200. 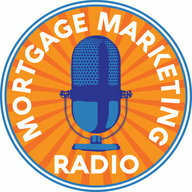 Head on over to the Mortgage Marketing Radio Podcast community on Facebook. Why? Why? Well, if you like what you hear and learn here, you’ll get more of that over at our Facebook group. Plus, I want you to check out some free content we just provided in there that will be delivered to you by way of Messenger Bot, using the latest and greatest technology to deliver to you some awesome resources and content like a master class video series I’ve got on how to better partner and capture real estate agents, some downloads and etc. So check that out over there if you haven’t yet done so already. And then lastly, this podcast, as always in its purest organic moment, most natural, raw form is brought to you by the MortgageMarketing.pro membership. Looking to go to the next level this year in 2019, looking to get more agent referrals, looking to become a modern originator, build out your online video branding strategy, your social media plan, Facebook ad templates, and more… Hey, we’re doing all of that for our pro members over at the mortgagemarketing.pro membership. Check that out for more detail in there. All right, so without further ado, let me get into telling you a little bit about my very special guest on this week’s episode. Very happy to have her on. She’s actually been on my radar for about a year now to have on the podcast, but she’s extremely busy and doing some amazing things in the industry. Who do I speak of? I speak of Kelly Zitlow of Cornerstone Home Mortgage, consistently ranked amongst the top 200 mortgage loan professionals in the country. Why I asked Kelly to be here is because she is known wide and far for her success with video, using video to build a personal brand, differentiation to help her be more competitive in her very competitive marketplace in the Phoenix, Arizona market, and to help her consistently produce some very significant loan volume year in and year out, to the tune of 232 loans, I believe $60 million in volume in 2018. That number might even be a little bit more than that for 232 loans. Folks, that is a lot of loans. So what you’re gonna hear Kelly talk about, along with her, a partner in crime, Chey Loraine-Gerz, we’re going to unpack video marketing for the mortgage professional — how to get started, how to get over your fear, what to talk about, where to post, when to post, why the post. It’s a crash course in getting started with video marketing for you, the loan officer. Kelly is amazing. She started with video in 2014. You’ll hear her story — scared to death to start, right? Like all of us. Get out of your head, right? And she’ll walk us through how she was able to break through the fear, the resistance, and keep going, even when it was ugly, not pretty. She got better and better and better as you can see now. I’m going to put links in the show notes to her YouTube channel, to her Facebook page, but her YouTube channel, get this: She’s got a 464 subscribers. She’s got over 150 videos. Um, my gosh, I’m looking at some of our videos right here. “What’s the difference between condo versus townhouse?” “Kelly Zitlow Group is moving.” “What is dual marketing in realistic?” Folks, these videos have a thousand or more views on each of these videos. Okay? Um, my gosh, “Content ideas for video market” — 200 views. “Increased loan limits,” right? She is a case study in, “Gosh, what do I talk about on video?” You talk about what you already know, right? You use the video to position yourself as a subject matter expert and thought leader, and you also talk about other things, right, that are relevant for you and your local community where you live. And Kelly does that as well. And she’s also now partnered up with the American Dream TV and she’s a guest host on that television show. She’s even taken her branding up way up higher than that. So you’re gonna love this episode. Any resources and all that, we’ll put links in the show notes. Let me give you a little peek, a sneak reveal here. Soon after you hearing this, depending on when you hear it, right, I mean, it’s funny. Some people listen to my podcast and it’s like “Hey man, heard that podcast.” And it was like from a year ago. So depending on what you’re hearing, look also soon to become your way is a live video weekly from me. We’re going to take the podcast episodes, and we’re gonna break it down. We’re going to break it down and unpack some of the key nuggets that are in there to help you swipe and deploy. That’s what it’s about. Maybe we’ll call the show Swipe and Deploy TV. Huh? How about you guys vote it up? Let me know what you want the title of the show to be. Head over to the Mortgage Marketing Radio Podcast group on Facebook. Jump in there, leave your comments there, and without further ado, let’s get into this week’s show. Geoff: Kelly, Chey, welcome to the show. Kelly: Thanks so much for having us. Geoff: So glad you could be here. I know you’re busy. Thanks for making time. So we’re talking about all things video and in preparing for this, I’ve been looking at your videos and a lot of loan officers, they hear video, they know “I should do video.” You’re one of the few people that’s actually really leading the charge when it comes to video. So let’s start with, real quickly, aside from the formal intro I do, Kelly, quick background on who you are. What do you do? Why do you love doing loans? Kelly: My name’s Kelly Zitlow. I’m with Cornerstone Home Lending. I’ve been lending for a little over 22 years. I started doing video in 2014. I knew technology was going to change our business, and I found that video really just gave us a way to connect with people on a different level. So it was hard, but it really has made such an impact to not only connecting but how we can educate and share information. So that’s super exciting. I love helping people. I mean, even though I’ve been doing this a long time, it is still fun. I still wake up with a passion to help people navigate this dream of home ownership. So hasn’t gotten old yet. Geoff: Chey, it’s your turn. Tell us about you. What are you doing over there? Chey: Well, my name is Chey Lorrainger, and I work with Kelly. Kelly: She keeps me in line. Chey: I’m her marketing director. So we actually met in 2010. So we’ve known each other a long time. Way back when, Kelly had a vision for video, and it took us many, many, many, many, many years to get off the ground with it. But we did it, and we have a passion for it and growing and trying new things, and we really love, love doing video. Geoff: Thank you for sharing that. So I heard something in there, I want to highlight that for a minute. You started working together in 2010. Is that what I heard? Geoff: Yup. But your first video and you had thought about video for a long time, but your first video wasn’t until 2014 is that right? Kelly: Well, let’s refine those dates. Geoff: First when you published? Kelly: No. Chey didn’t actually start working for me until 2012. So we really started down the video path in 2013. I had this harebrained idea that we should do video. I had no idea how mental it was and how I was just going to stumble all over myself. So in 2013, we probably shot 10 videos. They never went anywhere because they were what I thought was horrific. In hindsight, they were just me learning how to do something new. But finally in 2014 January and we sat down and we decided, you know what, whatever it’s going to be, it’s going to be. We just got to stop overthinking it. Let’s do it. And we started, and we haven’t turned back. So that’s kind of the real number. Chey: Yeah. And we talked about in 2012, and we started trying in 2013. When she talks about when we were trying to do these 10 videos, you know, we were doing green screen, and we were doing teleprompters, and we were doing studio shoots and getting a feel for it. I think that’s the area where Kelly was really getting tripped up on and feeling maybe like a newscaster or that she had to be something different than just herself. And then so when we really got together in January and we said, let’s just do this, I said, I’m just gonna just sit in front of your bookcase that you see here, and I’m just going to put a camera on you and you’ll just teach me something. And then that’s when it really clicked for us, and it became authentic. Geoff: So what I’m hearing is the reason why you did all those videos and you didn’t hit your stride was you were over complicating it in the beginning. Is that right? Kelly: I was overthinking it. I wanted it to be perfect. I was very self-critical. “What will people think?” Just all that mental garbage that we all do with ourselves. The turning point for me was, one, I’m a bit feisty. Kelly: I’m like, this is just crazy that we can’t figure this out, or I can’t figure it out. Chey had it figured out. I did not. Finally it was like, I’m just going to do it. So it was really just deciding that we were going to do it. And then the other part of it was when I stopped thinking about myself and started to shift my focus to what I could bring to whoever it was that was going to watch the video, it changed. It changed everything, because it changed my mindset. I would no longer worry about me or what it looked like or what I thought. It really became… I got so excited about sharing 22 years of what I have been doing in this industry and thinking that maybe that knowledge could help one person. That was all it took. And then that is really where we started to hit our stride. Geoff: That’s interesting. Yeah. We all go through this. Any of us who put ourselves out there publicly, we go through that whole self-image thing and “Oh my God,” and this and that, but a key point for those listening or watching is you took the focus on how you look or how you’re presenting or how you’re coming across and you’re like, wait a minute, let’s shift it and just talk about… Let me share value, share knowledge, and that took the self-focus off, right? The all that focus on the noise and it really allows you to focus on your message. Chey: And we were making it more complicated, like you said. We were in the beginning with the green screens. Geoff: I wanted to bring that up too. Set that all aside, right? Geoff: It’s a lovely bookshelf. I’ll have to say that. Kelly: Thank you. Making it more authentic and more real. Geoff: Well, yeah, and so that’s the key thing I wanted to point out, because I hear a lot of people talk about green screen, we see other people doing green screen, and I think it’s completely unnecessary, and actually I’m probably less authentic and less connecting with people. Kelly: Well, we have a green screen three doors down, and we never use it because we tried it. This is so much more natural. Kelly: Just sort of like me talking to you. And so this is really just a better fit. So it works. Geoff: So you got over the mental hurdle, that kind of stuff. You just did it you, and you focused on delivering value, which is taking your knowledge of 20 years and now just… How did you decide what to initially present? Did you develop any type of content strategy or calendar, or what did that look like? Kelly: Yeah, so initially my focus was on the real estate community and bringing value to them. So I would just share nuggets, things that went wrong, things that I saw that could potentially help them on interpretation of the purchase contract, guideline changes, obviously, different types of strategies that can help their buyers. “Did you know?” We say, “Did you know” a lot because they don’t always know. And so that was really it. I just keep kind of a running tab on my phone of ideas, and I can be driving home or in the shower, you know, talking to Chey. “Oh my God, that’d be a great idea. We should do it.” So we just keep adding it to the list, and so we have lots of ideas of things to talk about. Chey: We didn’t, we didn’t keep a content calendar in terms of mapping out what we’re going to talk about when, but we did keep a calendar in terms of consistent. Every Wednesday at 9:00 I’m going to shoot you and we’re going to pick three or four topics off the list and we’re going to shoot those three or four topics one right after another. So that’s. I would always have stuff in the can, and then every week we’re sending out a video. Geoff: So you’re batching content. Chey: Yeah. But in terms of creating, we weren’t planning out. We’re just keeping a list and picking topics, shooting them and having them, you know, there. Geoff: Yeah, no. Let me unpack that a little bit further for those listening because it’s the concept of batching content, and that’s probably familiar with us who have done it. So the concept is you’re going to take a period of time — an hour, two hours, whatever — and you’re gonna shoot multiple pieces of video. How much prep, Kelly, do you do for that in discussing topics or whatnot? Kelly: I know the material so well that really we have a running list, and Chey will tell me the day before, “Hey Kelly, I’m thinking, you know, you’re going to talk VA Jumbo. You’re going to talk this. You’re going to talk that. She just ticks it off the list, and I’ll just review it. Got It, got it, got it. Boom. I don’t do teleprompter. I just speak based off of what I know. And that tends to work best for me. Um, we do do fun things. Like sometimes if it’s a more complicated topic, Chey will actually get just a piece of paper and a sharpie, and I’ll just do bullet points – two to the three bullet points. She’lll tape it right on the tripod underneath the camera. So that way when I’m talking, if I get off track I can just kind of glance down and get back on track. Uh, so that’s kinda cheesy but cheesy. Geoff: That’s a great secret. Kelly: The cheesy trade secret. The things that are really important — the consistency. I owe all that to Chey because honestly she is the one that makes sure it gets done. So we send out about 50 videos a year. So every week except for a couple of weeks. Chey: Like Thanksgiving and Christmas, we don’t send one out that week, but we’ll do maybe like a holiday wish or so we do that. Kelly: And then I think the other key part of this is the fact that we are really trying to be very efficient with my time. So it’s on my calendar. We just need one hour, and we’ll, you know, crunch out two to four videos, sometimes five just depending on whether I’m on a roll or not. And we’ll get that done in an hour. So that gives her anywhere from two to five weeks of video content. So it really kind of removes the pressure of having to do one video, the whole setup, everything else, and then take it down. So it creates a ton of efficiency and we started to do that maybe, I don’t know, a year or two into it, maybe a year. Chey: Well, I think we, I think after, I think it was soon after we realized that it wasn’t efficient to try to shoot one video. Plus Kelly, just getting so much more comfortable with the camera that it wouldn’t take as long to shoot as it the first few times, you know, the first few weeks that we did it. So, um, it, it really was pretty soon into the process that we realized, hey, it’s not efficient to shoot video at a time. We’ve got to shoot a bunch of videos and have that content because things will come up too. Maybe if she has to go to a conference or she has a busy week, well, I’ve got to have content for that week because we’re consistent in sending out a video every week, so I have to make sure that if she’s not available, I’ve already got that stuff in a cannon. I think where people struggle the most, the people I talked to and things I’ve tried to do on my own is with the consistency of making sure you’re getting it out on a consistent schedule, so having enough stuff in the can, as we call it, allows us to be able to make sure that we’re hitting that mark. Geoff: I would say that’s the biggest issue for, for everybody with content is creating it and blocking the time to get it done. So thank you for sharing that. I think that is the best practice for those that have struggled or how do I put this into my day. You’ve got to carve out that time, plan your topics in advance, and then just hit record; edit later. You know, that’s the key. Fill the can with content, just like you said. All right, let’s pivot a little bit here on my notes. You have a database of real estate agents of what, over 3000 agents? Is that right? So I want to talk a little bit about this because you obviously in your area, Scottsdale, has built this incredible brand of awareness, partly because of video, but I think first of all because you were smart in advance in recognizing how important it is to build your own database of real estate agents. So tell the viewers and listeners why were you so advanced in thinking that you need your own database of realtors and then how have you really built that up over time? Kelly: I think early on somebody must’ve said something to me. I’m kind of a sponge, and so I started in business in 1996, and I really started the database in 1996. I, I mean I was just trying to learn everything I could about how to do this and do it really well and I realized that the relationship part of this business was something I really enjoyed. And then part of that relationship is no different than friends and family, just keeping in touch with people. So I was very fortunate to have what for, you know, taking some advice and started a very basic Excel database back then and it’s just evolved over time. So we’re very consistent and committed to making sure that we are managing the database. Geoff: You’ve got a database of roughly 3,000 agents. You guys used that term earlier “when we send out a video.” Um, but I, you know, I hear that I’m thinking, wait a minute, what do you mean “send out” a video because your videos obviously are going onto YouTube and we’ll share the links to your YouTube channel and Facebook and all that. You’ve got over 100 videos on YouTube. Tell me about your strategy with realtors then and how you’re leveraging video to keep you top of mind. Chey: Every week we send out an email via Constant Contact and the video, we have the video right at the top of the email. We keep the content in terms of the words pretty short because we really are trying to inspire them to watch the video. So we send that out to about 3,500 realtors every week, usually Thursday, Friday towards the end of the week, every single week, except for those two weeks we talked about, Thanksgiving, Christmas. We usually skip those. But uh, it’s the thumbnail plus the link to the video that’s on YouTube. That’s how we just, you know. Chey: Watch it on YouTube, right. Then we’re promoting it on YouTube, you know, when upload a video to YouTube, it’s also posting to twitter at the same time. It’s auto posting to Twitter so that I don’t even have to think about it. There’s just a button in your YouTube account that you can say that you want to have to twitter at the same time. And I just keep that checked at all times so that every time I’m making a video public, it’s posting also on Twitter. Then with Facebook we are uploading it separately to Facebook. On occasion I will share the link from YouTube too if I’m trying to do some strategy with video advertising. Geoff: All right, so we’ll come back to YouTube and some questions around that. But I want to stay on this thread for a moment. Are you sending out videos weekly with real estate agents to staying top of mind, what, what measurable impact does that have on your ability to partner with agents and get referrals? Kelly: So the first year that we incorporated video into our business, my business increased by 34 percent, and I’d already had a really viable business. And so it really was one of those things where I just said, oh my gosh, I mean this just gives me a way where I can do what I really love, which is share information, that’s quality information that can help people with their businesses. And so from there it’s one of the things that now it becomes part of the branding, who we are and how we do what we do. So with Constant Contact, there’s a lot of tools built into it. So we, you know, it manages our opt outs, we know who doesn’t necessarily want to hear the message and who does want to hear the message. And so that’s another big part of using a tool like Constant Contactto distribute. 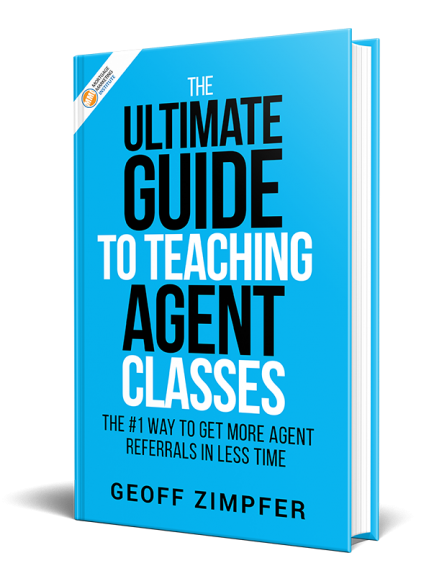 Geoff: Do you kind of monitor how many opt outs you get from agents? Chey: Yeah. Well, that’s what I love about, um, and we don’t get paid by Constant Contact. We’ve just been using them since two thousand…. We used it even before we did video. So we’ve been using it since 2012, but it gives us all the metrics so we actually know who’s opening it. And when they open the email, did they watch the video, did they click on the flyers, did they go to our Facebook page? It gives us all that data, and we get reports back also of who opted out. And it’s important. We definitely look at that because the reason why somebody may opt out may not really be because they don’t like us or they don’t want the content. Maybe some people just feel like they’re overwhelmed with email and so, you know, we’d still keep that dialogue open with certain people. We have people up back in sometime. So we had two people yesterday, we had opt back in. Kelly: “I’m not getting your stuff.” I said, “Well, you opted out in 2015. Chey: So yeah, we’re measuring everything. Everything from the opt out, who’s not opening, who is opening, what they’re doing when they opened. We measure all that. Geoff: What type of, um, click through rates are you getting on those videos via the email, uh, that go to watch that, you know, go to the link to watch YouTube. You have a sense of that roughly? Our click through rate is really going to vary. But I mean we have a, especially since I’ve started adding more videos to the email, so we have our primary email, and then at the bottom I usually throw in a couple other videos. Uh, Kelly’s on a show called the American Dream. I usually put that video plus maybe last week’s video in case you missed it. Here’s what we talked about last week. So I’ve started adding more things to it. When you add more things, your click throughs go up because there’s more opportunity to click. So I mean, but definitely always, um, over 10 percent, for sure. Um, are there have been cases, depending on the topic, where we have click through rates higher than the open rate and that always blows my mind, right? Geoff: Yeah. That’s a hot topic then, isn’t it? I only ask that for some of the people who want to know the numbers and stuff. But I think the key point I want to drive home is you’re sending roughly 3,500 emails a week to these real estate agents and just some quick math on that. Twenty five percent of it, just an open rate on that. That’s 875 real estate agents that are seeing your message every single week. Whether they watch the video or not. I don’t think that’s the most relevant thing because you know, people will watch a few of them, they won’t, you know, it’s that kind of thing. Um, but the point is every single week you’re getting your brand, your face, your message in front of 800 plus agents. And I’m wondering, I know it’s more of an organic thing than an actual linear of like, Hey, well how many leads or whatever. I mean, I’m sure you have a sense of the impact to your business the engagement with agents and the referral business you generate because of those emails. Right? It’s pretty, pretty significant. Geoff: Yeah. Like you said, the video is 34 percent. Kelly: Seventy percent of my business comes from the real estate community. I mean that’s really a big partner to what we do because we’re so connected in the home buying process, so the other 30 percent is past clients. So the other part of the video strategy is to stay in touch with our past clients and our current clients who are pre-qualified. And so we do that also with the video. That video’s once a month, and that messaging is a little bit different. And so I’m not sure what’s on that list, like how many people. Chey: Oh, that’s about the 3,500 range too. Geoff: I’m sorry. I was checking my notes. What’s that list again? Is that the TBDs? Kelly: Sorry, you weren’t listening. You don’t get the answer. Geoff: I know. I’m so bad. So bad. The audio’s not great on this Wifi, so there’s a little bit of a delay. Go ahead. Say it again. Kelly: We also send to my clients once a month. We’ll send a video. Clients and they’re past clients, current clients, clients that are pre-qual. And we’re just sharing different messaging. Something that’s more directed to why consumers are interested in knowing about the home loan process, and so that hits about 3,500 people as well, but that goes out once a month as opposed to every week. Chey: And we use YouTube as part of the process too. We have videos built into our database, into our CRM so that if somebody is a lead coming in, then they’re going to get put on a drip campaign and there’s going to be videos with that. Or if they’re in process, they’re under contract on a loan, we’re getting them videos throughout that process to let them know where they’re at in the process, what to expect next. So there’s a lot of different ways you can use videos. Or even just if Kelly’s having a conversation with a real estate agent and she thinks like, oh, I have a video on that topic, she can just copy and paste the link to them and say watch the video. And that is something we actually do a lot. Geoff: I love the idea of using the video obviously with clients in process, after first conversation, taking a nap. Whatever. Um, are you using Constant Contactto deliver those videos also? Chey: We are using Constant Contact to deliver the once a month email that goes to all our clients, but for the process videos, we’re using our CRM for that. We’re using Salesforce. Geoff: And is that something that’s automated? For instance, when you. There’s milestones that automatically trigger that? Geoff: Okay, got it. Very cool. Are you doing anything one off video like, you know, texting a video? tell me a little bit about that. Kelly: I use BombBomb for that. And so that just might be something where we get off this call and I just shoot a quick video and text it to you and say, “Hey Jeff, so great talking with you today. Thanks for having me on the show.” That type of video is really where I use just the texting. It’s easy, I can do it anywhere. But it’s just a different way to connect outside of a traditional text. Geoff: I’m curious how much you feel video has helped you minimize rate shoppers and helps you get chosen as the LO because it’s all about, you know, the, the ideal customer experience and creating trust and all that. Clearly you’re a believer in that, but I just don’t know if you have any comments to that point. Kelly: I think rate shopping is part of the process. I think what my job is to do is really educate people that rates are important, but it’s not everything. We are definitely not going to be the lowest rate out there. I don’t know that anybody could ever, you know, honestly say that. We’re certainly not the highest either. We offer competitive rates, but as part of that we are really that boutique lender, guarantee you’re gonna close on time, you know, all that other stuff. We’re going to protect the entrance and everything else, and we’re going to really empower and educate people during the process and sometimes that’s a great fit for people and sometimes it’s not, you know. So in this business, in any business, you’re always gonna lose some percentage of your business to a lower price type of platform. That’s just part of the game. Chey: We have a video for that, Geoff. It’s called “How to Get the Best Rate.” It’s on Kelly’s YouTube channel. Geoff: I love it. As a matter of fact, let me transition over there for a second because you’ve got over 100 videos on there. You’re just so comfortable on video now, Kelly, it’s crazy. I’m looking at the one you did about ringing the bell for the Salvation Army. Um, so you’re also tying in local community events and happenings and things like that, right? Kelly: Yeah, absolutely. So this year, the latter part of this year and next year we’re going to do much more outside of the office and really just trying to be more community connected with some of the videos. Super excited about doing that. Geoff: Is there anything you’re doing with video yet that you would like to do? Kelly: I don’t know. Let’s ask Chey. Chey: Well, the community stuff is new for us. I mean certainly not participating in the community, but in terms of getting out and filming in the community, that’s something that we have just now started, and so I’m excited about next year because we have… You know, you won’t see too much of that on her YouTube. We just started. We got “Ring the Bell.” You can go watch the video on Kelly’s renovation that’s happening at her home and we got that, but, you know, just getting outside of the office. We’ve been doing the office a thing for a lot of years and we’re not going to stop doing that. Um, but I think really getting out to the community and connecting with other people in and showing what we are doing in the community, we need to do more of that. So that’s really our focus and our ship for 2018. Geoff: Yeah. It’s interesting news to you. That’s what you’re going to be doing. The “Renovation Loans” seems to be one of your higher viewers right now. It’s like 300 views, and that just speaks to the point, I think regarding the community videos as well. People like Gary V thing say document. You are documenting your home renovation and that gives people an insight into you, a little bit of your personal life. A little bit of just like, hey this is Kelly not in the office and not talking about mortgages. And for some I know that’s a tough bridge to cross to get personal, to share personal. Was that difficult for you or by now or is it just like, hey cameras, I don’t care? Chey: I think we’re still working on it. Geoff: It certainly is. It’s a journey. Real quick, I’m looking at my notes here. There was something I wrote down about you. Are you leveraging video to do some targeting of ads and audiences on Facebook? Chey: Yeah. So, I mean there’s a couple of different ways. I mean, it depends on what our video is. Is it a consumer video or is it a real estate of video? Are we targeting real estate agents? So within Facebook obviously you can create your audiences. So I go in there and I create a custom audiences. And then now what we’ve also been doing is, um, you can upload your database into Facebook, and so you can create a target audience around that as well. And that’s something new that we’ve just started doing. Geoff: So some listening are going, Whoa, Whoa, Whoa, upload my database. So just to expand a little bit on that. Are you doing both agents and past clients? Chey: For now, I’ve just done the agents. Because we do a lot more agent videos than we do consumer videos. Typically with consumer, what we’re focusing is on the show that Kelly is on, the television show, the American Dream. That’s very consumer oriented and that’s every week. So, uh, you know, with us, we’re focusing more for the target ads on our real estate market, our real estate partners. So, um, I’ve exported those from Salesforce as a spreadsheet and uploaded that into Facebook and you know, you’ve got to go into their ads and you can google it or YouTube it, and it will show you how to do it, but you can upload that into Facebook to create an audience that is your people. So even if they’re not necessarily following you, your ads can get in front of them if they have a Facebook account. Geoff: So what you’re saying is you take your database or real estate agents, you’re uploading it to Facebook, you’re creating a custom audience and now when you put a video as an ad out there and you pay for it, that’s going to put that video, that ad, in front of just that custom audience. Chey: Right. Exactly. And so why am I, why am I want to get extra advertising is, for example, a while back, Kelly hosted an event, and we really wanted our sphere of people who know who Kelly is to come be Kelly’s guest at this event. So when we’re going to do that, we are going to do kind of like a marketing blitz or we’re gonna, you know, be all in, in terms of they got an email, we got targeted ads to that group of people on Facebook. We have somebody on the phone calling those people. Um, so we’re just trying to hit it from all the angles to get as much participation as possible. So that’s why I’m focusing on that group of people for that ad. Geoff: Interesting. There’s a lot of applications with that just in terms of from a pure branding education. I don’t know if you guys do this, but I’ve talked to some other loan officers where they do that as a top or middle of the funnel strategy before they reach out, perhaps, to call that real estate agent and try and get a coffee meeting or something. Chey: Yeah, I mean that’s definitely a good way that it could be used. I think we’re marketing to them on all kinds of levels. They’re probably already exposed to Kelly through there. Let’s say a real estate agent comes in on a transaction where they’re the cross sell agent, they go into our database. They’re going to start getting Kelly’s videos right out of the gate, so they’re already kind of warmed up, and even if they talk to her on phone, but they’re already starting to get our videos and have that interaction with her from the minute the contract comes in. Geoff: Is that part of your overall process, Kelly, to target those listing agents that go into the funnel, then a call is going to come from you at some point? Geoff: That would be too obvious. I’m really curious because you know, listen, you know this as well as anyone, you’ve been around a long time. I’m always surprised how LOs don’t pursue listing agents and that’s a very intelligent way to do it. Kelly: I don’t want to cold call, Geoff. I don’t want to do that. We’re working together, You’re the listing agent. I know what I’m doing. We’re going to close this transaction. Let’s just get to know each other. Maybe there’s some synergy; maybe there’s not. Geoff: Do you ever do the BombBomb thing with the listing agent where it shows, “Hey, this is Kelly, I’m working on your listing, 123 Main Street”? Kelly: Most of our process videos are so built in that I don’t even have to think about it because it’s automated. But yeah, anything we can do to connect and make somebody smile and be like, oh, that was kind of cool. I mean, that’s fun. Geoff: Kelly, you gotta understand what’s obvious for some isn’t obvious for everybody. That’s why we do this, to bring awareness. People, it’s not that hard. Boy, that’s good stuff. What are you doing? Anything besides the community thing, the community videos, anything else you’re working on? Well, tell us about the American Dream, if you’d like, or anything you want for 2019, what you’re doing differently or more of. Kelly: The American Dream is a national show. It airs in 27 cities. So we are the mortgage affiliate here in the Phoenix market and so with that, I get to do a mortgage minute every week and it’s been a lot of fun. Um, because they really do focus on the community. And so just depending on whatever that topic is. So I’ll be out doing more and more and more of that. So we’re starting season two with the show and really excited just about the messaging that the show provides a. It can be seen on Apple, Roku, Amazon Prime. Chey: We live stream it every Sunday at noon. So on our Facebook page, we put it out there. We’re always, every week the live stream link will be up, but every Sunday at noon Kelly will be on a live stream. Kelly: So we’re kicking it up. Geoff: You sure are. Man, oh, man, you’re like a case study in personal branding. Chey: I’m glad to hear you say that, Geoff, because that means I still have a job. Geoff: Now, wait a minute. So look at this. I just came across this video of you pushing some big weighted sled for your workout in the gym? Kelly: Yeah. That was the personal stuff. Do not get two close because that was really in the gym. Geoff: I love that. Again, it’s a look inside Kelly’s life. But I’m really impressed by that sled. I haven’t seen one like that. It looks like 400 pounds on there, Kelly. That’s awesome. Well look, this has been a great education in video marketing and uh, I can’t thank you guys enough for your time. I know you’re busy. And it’s not your video shoot day, so you don’t have to go shoot videos, but I’m sure you’ve got other things to do. Chey: Oh, Geoff, we already shot a bunch of videos this month. Geoff: I love it. I love it. I’m going to put links in the show notes to all your stuff, but is there any particular places if people want to follow you, any recommendations? Chey: Well, you can definitely check out Kelly’s website, KellyZitlow.com, and we have all the social media links, clips of the American Dream, her whole video library. It’s all there. Kelly: And don’t forget to like and share. Geoff: Sharing is caring. Awesome. Well, thanks so much for making time. We appreciate it very much and, listeners, as always, thank you for tuning in. If you like this episode, let us know. Reach out, say hi to Kelly. Follow what she’s doing. You’re not going to go wrong by mirroring and modeling excellence already, so thanks for tuning into this episode, and we’ll see you on the next one.